City manager Wally Bobkiewicz at a City Council meeting. The city released a survey for residents to give feedback on budget cuts. As Evanston faces another multi-million dollar budget deficit, city staff released a survey Thursday asking residents to rank city programs so their feedback can be considered for the fiscal year 2019 budget. According to a news release, the survey contains 46 items, and asks residents to rank their top 10 and bottom 10 priorities. It is available online and at Evanston Public Library locations and community centers starting Friday. Feedback closes June 7. City manager Wally Bobkiewicz said Evanston faces significant debt as a result of pensions, capital funding projects and varying levels of state funding. In terms of cutting costs, he said city staff focused on programs where revenue is lower than costs. He added that he did not know how many programs the city would need to cut. Bobkiewicz said survey results would be considered when creating the 2019 budget, which will be presented to City Council in October and adopted in November for the fiscal year starting in January. To determine the 46 items on the survey, the news release said, city staff itemized city programs and ranked them based on cost, demand, dependence, equity and several other factors. At a City Council meeting April 30, staff selected 54 items to present to council members to consider for cuts or modifications. At the council meeting, Ald. Cicely Fleming (9th) expressed concerns about the matrix city officials used to determine programs. She said city staff should use concrete data to determine programs’ efficacy instead of relying on their own subjective guesses. Fleming said she worried a small group of “very loud people” with time and resources would focus on “small” issues like tree permitting, whereas other people without the ability to advocate would lose resources such as nutrition programs for children in the summer. 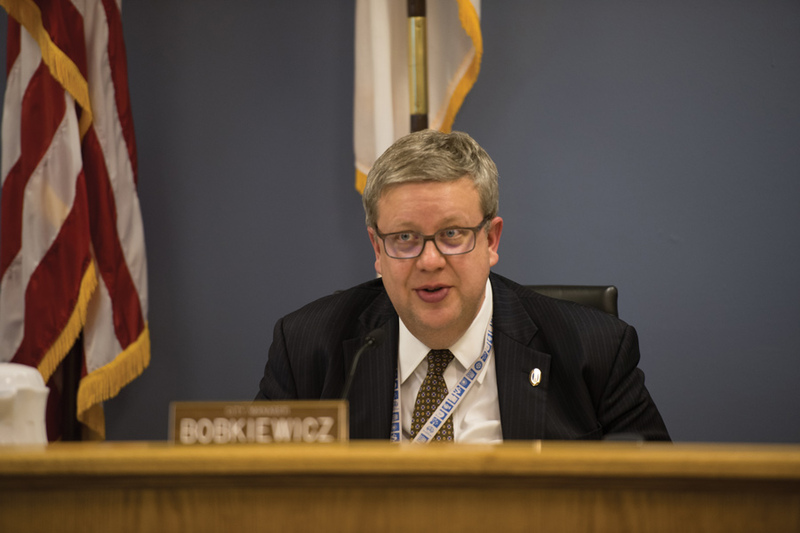 Bobkiewicz said the city will emphasize community outreach programs over the next month to include diverse perspectives by attending ward meetings, visiting community centers and holding an open house on May 24. Still, he said the city would have to make budget changes somehow.